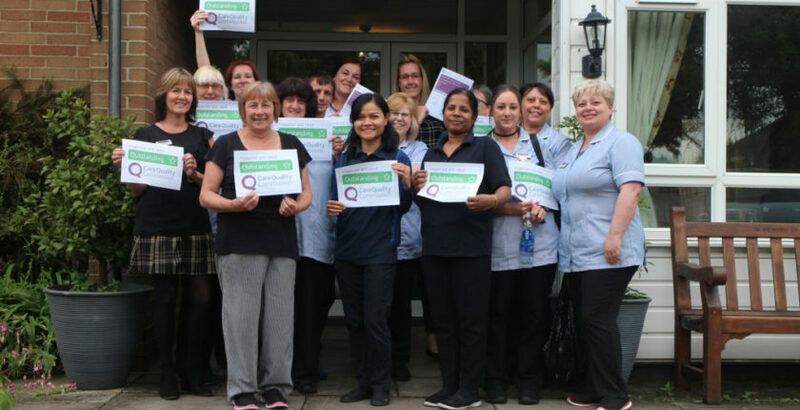 Staff and residents at Agincare’s Lansdowne Hill Care Home in Wroughton, Swindon are celebrating being rated Outstanding by the CQC. The home, which cares for up to 46 people, including those living with dementia, was rated Outstanding for being Caring and Well-led, and Good for being Safe, Effective and Responsive. In its summary of Lansdowne Hill, the CQC said that “people were at the heart of Lansdowne Hill” and that “the atmosphere was one of calmness, order and positivity. This enabled staff to embed a strong culture that valued people. Relatives and staff and promoted a caring ethos”. Residents, families and visiting professionals gave very positive feedback about the home, with the inspector saying that “there was a very high level of confidence in the leadership and management of the service expressed by people, relatives and external professionals”. Group Chief Executive and Nominated Individual for the service, Raina Summerson, said: “The whole of Agincare is very proud of the team at Lansdowne Hill and their fantastic achievement here, which recognises the quality care they provide that makes such a difference to peoples’ lives.